يوفر فندق Motel 98 ظروف إقامة راقية وهو خيار رائج للسياح ولرجال الأعمال أيضاً. يقع في منطقة مطاعم, الأعمال, سياحة من روكهامبتون. يمكن من هنا للضيوف الاستمتاع بسهولة الوصول إلى كل ما تقدمه هذه المدينة النابضة بالحياة. يوفر الفندق بفضل موقعة الجيد وصولاً سهلاً إلى أهم معالم المدينة.
. استمتع بالخدمات الراقية والضيافة التي لا مثيل لها بهذا الفندق في روكهامبتون. إن واي فاي مجاني في جميع الغرف, خدمة التنظيف يوميًا, خدمة غسيل ذاتية, خدمات بريدية, خدمة سيارات الأجرة هي جزء فقط من الخدمات التي تميز Motel 98 عن باقي الفنادق في المدينة. بالإضافة لهذا,تتضمن كل غرف الضيوف مجموعة واسعة من وسائل الراحة . بعض الغرف توفر حتى تلفزيون بشاشة مسطحة, غرف لغير المدخنين, مكيف هواء, تدفئة, مكتب لإرضاء أكثر الضيوف تطلباً. سواء كنت من محبي الرياضة أو كنت تتطلع لتفريغ عناء نهار صعب، ستجد خدمات ذات مستوى عالي بانتظارك كمثل حمام سباحة خارجي, حديقة. يحظى فندق Motel 98 بموقع ممتاز وخدمات يصعب منافستها. Surprising comfort and modern rooms and very clean. A little small in some areas, but otherwise for overnight, excellent. Close to city centre and shops restaurants etc. fantastic i will be staying there again, the king beds are great for couples. Only a nightstop for me, but just the job. Food was excellent, the staff delightful, the bed was comfortable, and the motel was quiet. Our stay was great and the hotel itself is great. Nice sized room with a comfortable bed. The only downside was the restaurant. The food was great but we had to wait way too long for both dinner and breakfast. You wouldn't want to need to be somewhere in a hurry. We stayed one night here and it was great. The manager Stephen was exceptionally helpful and friendly. It is well located and the rooms overlook a lovely pool. Everything is very clean and well maintained. Very enjoyable. Service was very firendly. Rooms were of a high standard. 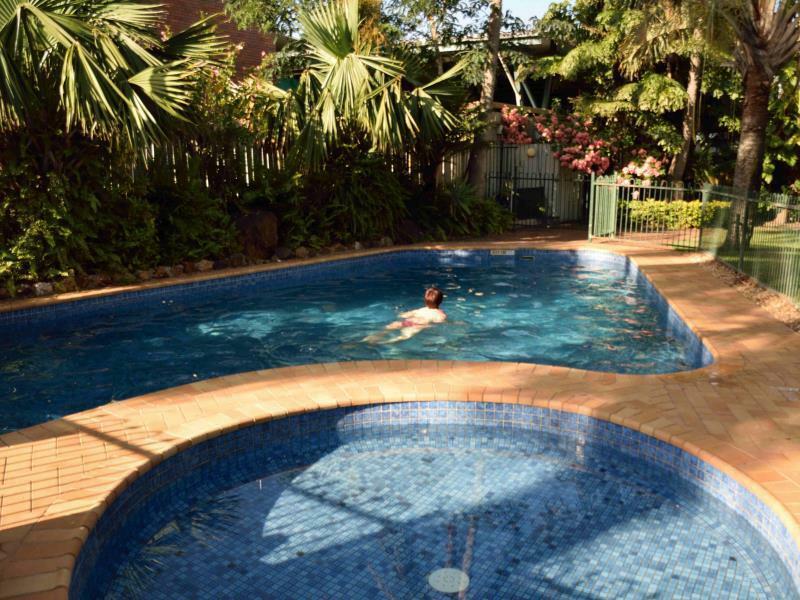 Clean and comfortable stay located close to restaurants and town in Rockhampton. Would stay again. Just a one nighter, the building is old with very small rooms that although are neat, are tied. Comfy bed, warm shower, didn't expect much more. As indicated above I consider the customer service was first class, clean room and good location. Breakfast was on time and well prepared. Rates were reasonable for the quality provided and both the manager and wife were obliging and flexible to suit my late arrival due to flight difficulties. I was made most welcome and would be pleased to return on another date. very lovely staff. rooms were well organized with comfortable bed. bathrooms were nice and new. nice boutique hotel. food at resturant was very nice. 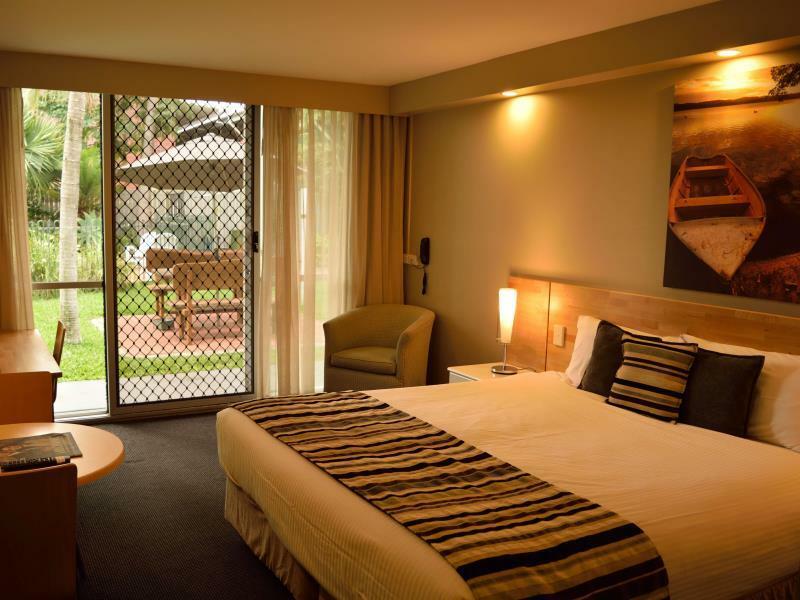 The service was amazing, the beds were the best I have ever experienced in a motel and I am a frequent traveller. The room was extremely clean and smelt fresh. The food was amazing. Thank you Motel 98.